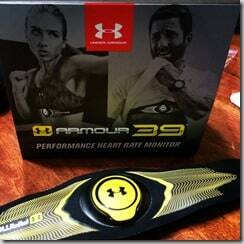 The following post is sponsored by FitFluential LLC on behalf of Under Armour. I love new running gadgets, especially gadgets that give useful feedback and gadgets that have the potential to improve my motivation and performance. The last time I got this pumped about a running gadget, it was almost 5 years ago. The basic function: Cuts the excuses. Exposes the halfway effort. 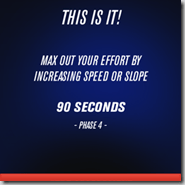 This will use your heart rate to let you know if you’re working hard enough. And trust me, it will let you know if you’re not working hard enough. 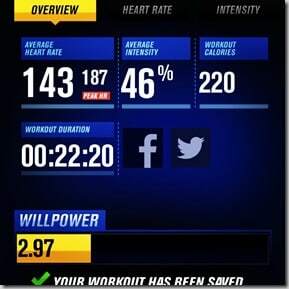 It’s easy to understand since it uses a heart rate formula based on rate and duration to give you a WILLpower score from 1-10. 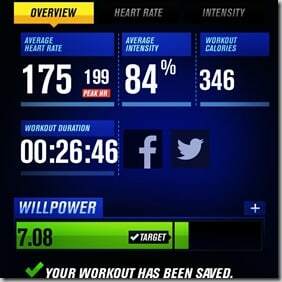 It also calculates your calories burned. 1. Choose which option you want to use. 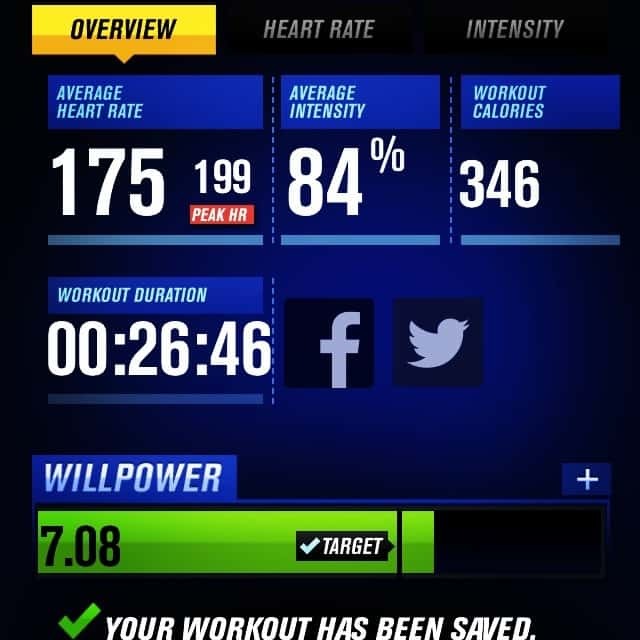 Heart rate monitor+free app (iphone only) OR heart rate monitor+watch. 2. With the App option, all your information communicates with the app via bluetooth. You will insert the transmitter into the chest strap. Push “connect” on the app. Once they are communicating, it will prompt you to start your workout. When you finish, close the workout, save the data, and REMOVE THE TRANSMITTER from the chest strap. This saves the battery. 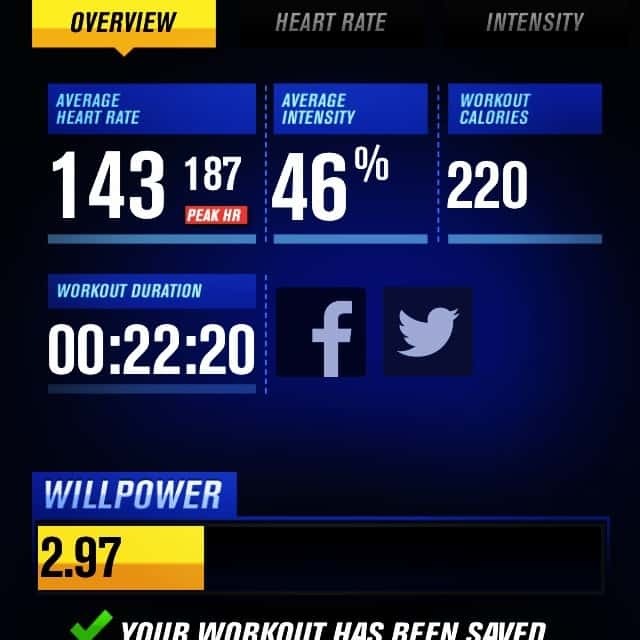 If you are working out away from your phone, your information will be uploaded when you are within range to the Armour 39 app. 3. 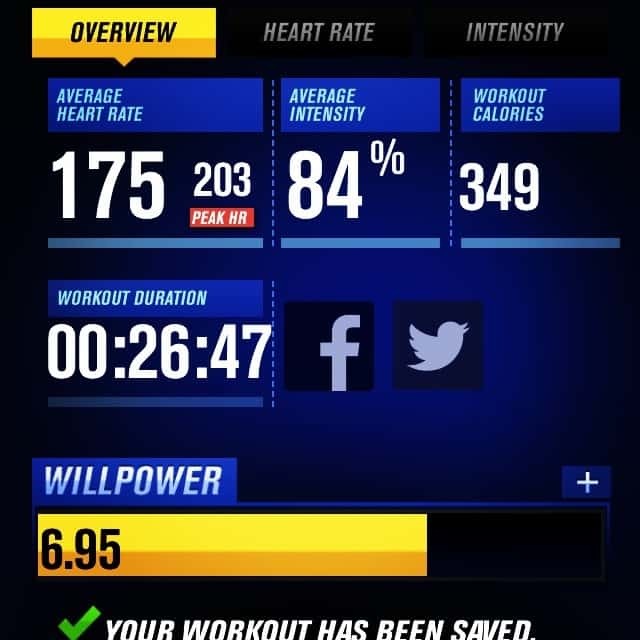 With the monitor+watch, the information is transmitted to the watch in real time so you can monitor as you workout. 4. Before you use either one, you should do a 10 minutes assessment so it can gather your base heart rate info like max and recovery. It talks you through it, so turn the volume up on the phone app! 1. 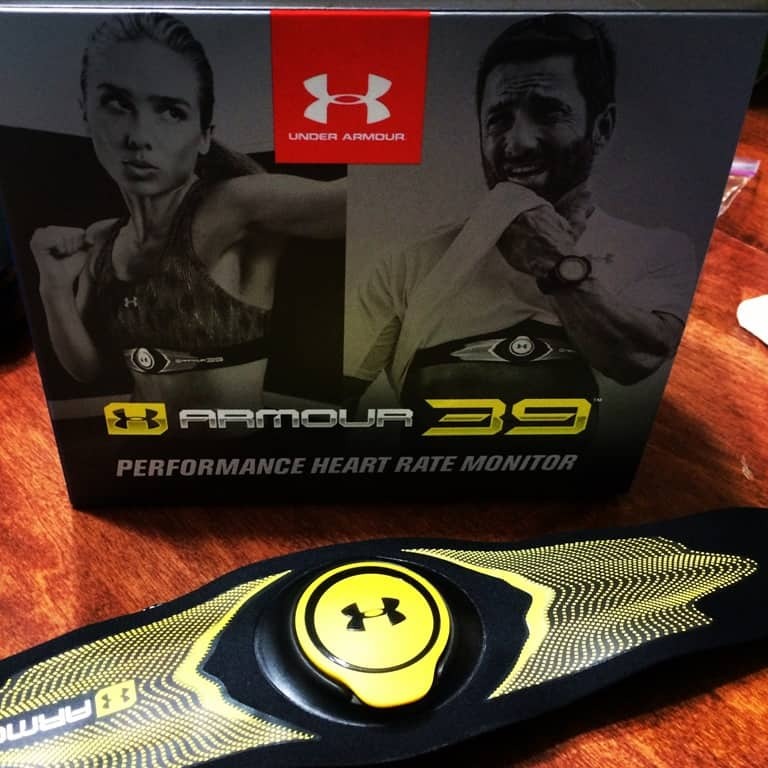 Most heart rate monitors give you a single average rate. 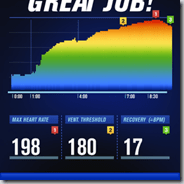 This Armour 39 captures every heart beat and displays it in a graph so you can see how quickly you warm up, recover from an interval, and recover from the entire workout. A single average number will not give you that information. 2. 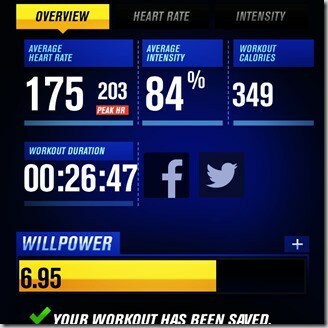 WILLpower score is easy to understand at a glance. No need to do the mental math while you’re dodging tree roots to figure out if you’re rate is too high or too low. Once glance and you’ll know if you need to crank it up or cruise a while. I had no idea the importance of this little number. During the 10 minute assessment to determine my max heart rate and my RECOVERY rate, I learned my Recovery rate is within normal range…but barely. My heart is taking too long to recover. This was a big wake up call. 2. I’m faking myself out. Big time. Just look at this madness. I thought I was burning up some treadmill rubber. I left the phone out of sight and when I picked it up, I wanted to cry. That WILLpower score is a powerful motivator. Now look at my next workout. I kept the phone on the treadmill so I could look at it. Not only did the time on the dreaded treadmill FLY by, but my workout scorched my previous attempt. 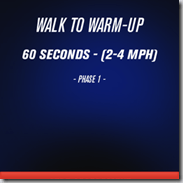 And here is another workout. Again, I kept the phone in sight so I could keep up with the heart rate and score. It just makes me push harder to get that score. As my fitness improves (and my lungs recover from pneumonia), I’ll extend that target Willpower score. Now that’s you’ve seen the results, which option is right for you?